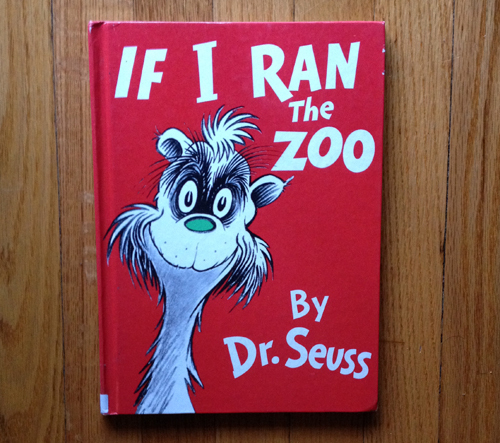 If I Ran the Zoo is a typical silly Dr. Seuss book, if you ask me, but it's been banned for the line "all wear their eyes at a slant", which refers to the helpers, accompanied by an illustration of Asian stereotypes. I never knew why this book was banned, and had never read it before. It was, as I mentioned, a typical Dr. Seuss book to me, but seemed a bit long. I was expecting something along the line of Green Eggs and Ham or Hop on Pop, but this one was a real time investment. That being said, I don't think it should be banned for the stereotypes portrayed on the pages - instead, turn them into a teaching point. Talk about why it's a stereotype and why it's offensive, and depending on the age of the children, talk about other stereotypes they might know, and debunk them. We should learn from history instead of try to ban it and wish we could erase it.